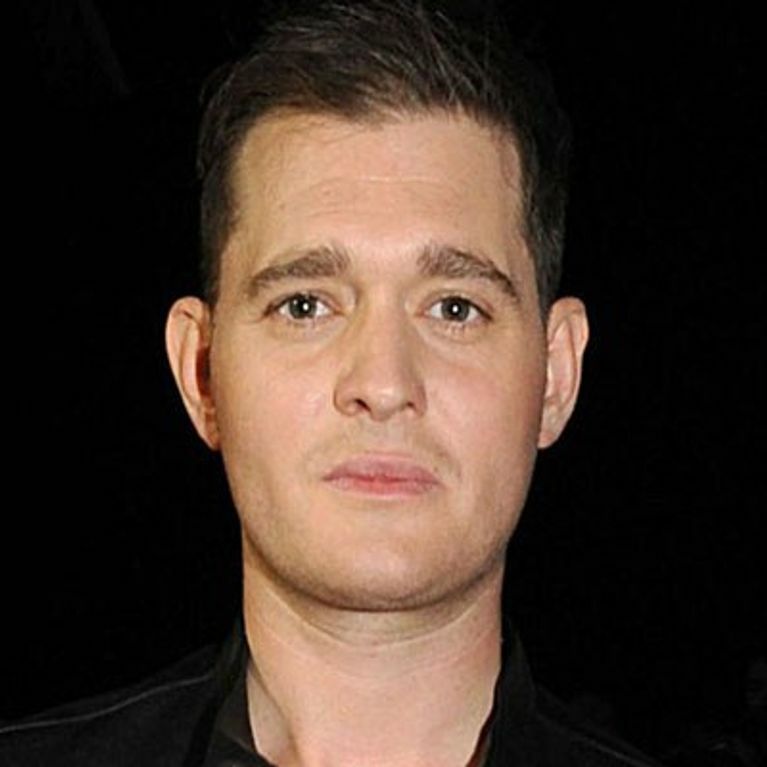 Michael Buble displayed a shockingly slim frame at a fashion show in Italy yesterday. The big ballad 37-year-old singer showed off chiselled cheekbones, super-slim legs and a toned torso - looking a long way from his 2011 self. He wore jeans that looked baggy on his frame and a leather jacket for the front row at Milan Fashion Week. The married Canadian has clearly been on a diet since he was snapped looking chubby on the beach in Barbados last year. Perhaps it's Michael's super-toned 25-year-old model wife Luisana Lopilato who has knocked him into shape. The pair married last year after meeting at one of Michael's concerts in November 2008. Three months after their first meeting, Michael emailed Luisana telling her he wanted to come to her native Argentina to get to know her and her family properly. She told You magazine: "My parents, my brother, my sister, none of us spoke English, but from the first moment, we all liked him. "He was really humble. He wasn’t like a big star showing off, he was like one of the family and when we finished dinner, he started to clear the plates."